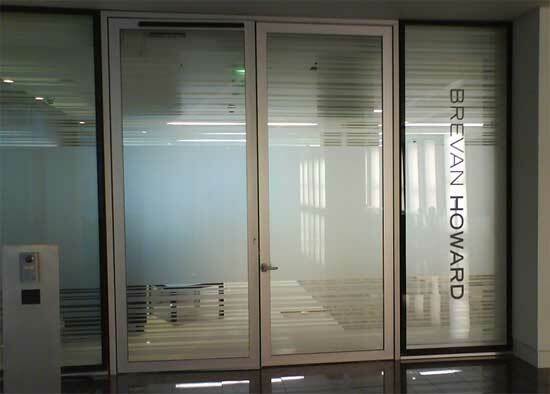 Window films, internal office manifestation, printed manifestation, frosted, Opal, sand-blasted effect and Dusted Crystal vinyl films. 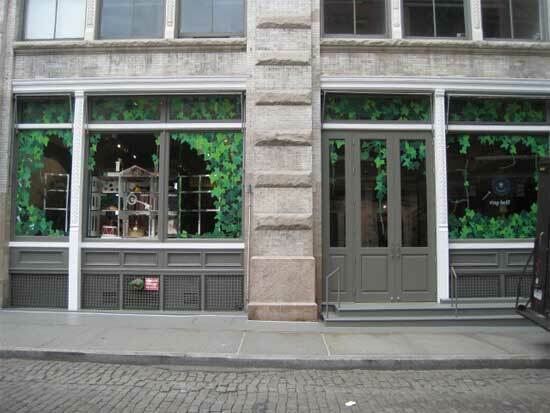 Privacy window film, glass glazing, One-way vision, internal printable glazing. 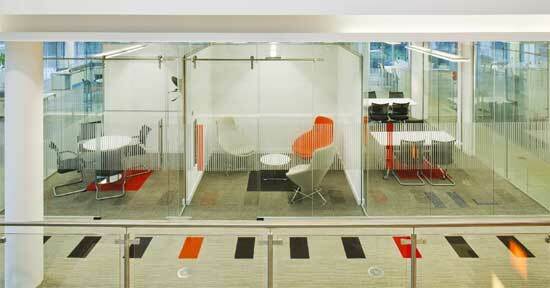 With the use of full height glass in walls, partitions and doors, there is a greater risk of people walking into them. If you have any glass that is not apparent, it must have manifestation window film applied to confirm with current regulations. 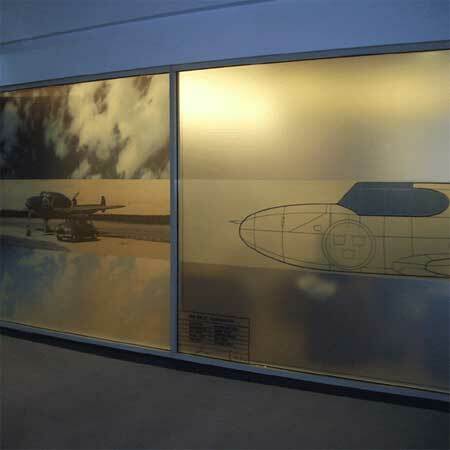 There are many types of specialist vinyl graphic products generically known as Manifestation Graphics, which offer a flexible low cost alternative to the traditional acid etching or sand blasting of glass without the restriction of total permanence. 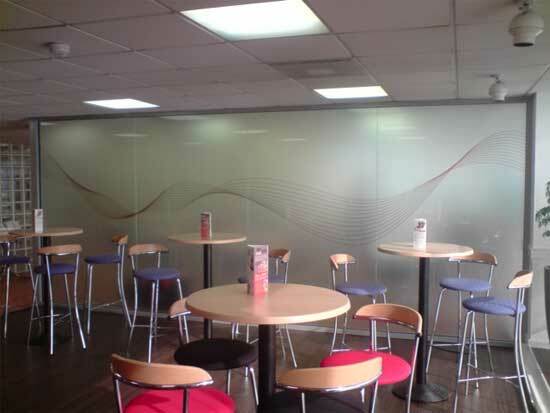 Although having glass manifested this can be utilised a cost-effective way to get the most from your brand and influence the way that staff and visitors think about you whiles improving the working environment. 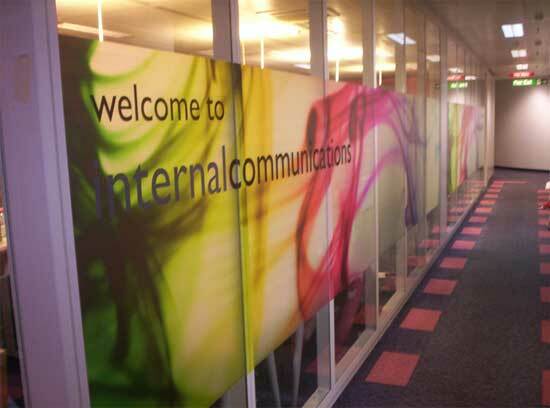 Pyramid Visuals has developed the traditional acid etching or sand blast self adhesive vinyl manifestation to digital printing full colour graphics onto the manifestation vinyl to produce a new dimension of interior glass glazing. As you can see from the images colour changes the dynamics of the working environment. 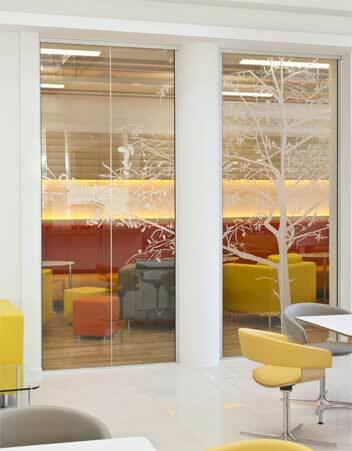 Often it is necessary to have a clear view through glass, whilst still preventing people from seeing in we are able to use a special perforated printable self adhesive vinyl which till give this ability.